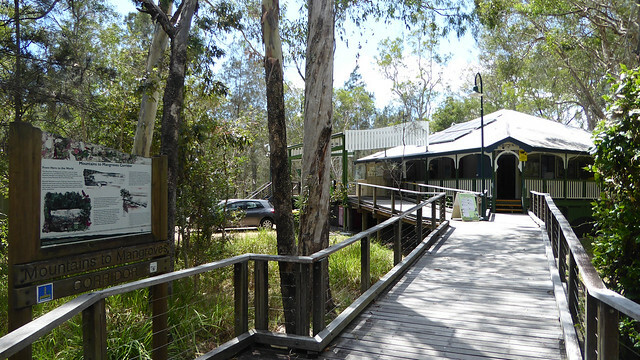 Come and visit our Boondall Wetlands Environment Centre. You can view our environmental and cultural displays, discover facts about the wetlands flora and fauna, and learn about the importance of preserving natural areas. closed on Monday, public holidays and may be closed at other times. Phone Brisbane City Council on 07 3403 8888 prior to your visit for current centre and reserve notifications. In order to safely complete construction works as part of the Boondall Wetland Environment Centre project, the Boondall Wetlands Environment Centre and car park will be closed on Tuesday 16 April. Check out what's on at the Boondall Wetlands Environment Centre. public toilets, parking and wheelchair access, and sheltered picnic tables. Construction has commenced on the new environment centre. Read more about the Boondall Wetlands Environment Centre project for further information. View the Boondall Wetlands Environment Centre photo gallery as a slideshow or view photos individually as part of Council's Flickr account. People of all ages can use Boondall Wetlands Environment Centre to learn about the reserve and the importance of wetlands to the wider environment. walk the Hide 'n' Seek Children's Trail though the wetlands. Before you go, or during your walk, you can download or view the trail map (Word - 1.46Mb). Watch the Sharing Shorelines video to learn about the importance of Brisbane's coastal habitats for shorebirds. Check out how many bird's in the bird checklist you see in the wetlands. Nurri Millen - a guide to the Indigenous art totems (Word - 821kb). email the Boondall Wetlands Environment Centre team.